Are you an individual with jaw pain or a parent who has noticed that your child complains of abnormal pain in their mouth and jaw area? Jaw pains and treatment can be difficult to handle and there may be a number of reasons causing it. Some causes may be minor and while they may need attention, are nothing to be too worried about. Other causes may require immediate attention to protect against complications and extreme pain. It’s highly important to visit or take your child to see an orthodontist for the proper treatment. What Causes Abnormal Jaw Pain? It can be devastating as a parent to see your child dealing with jaw pain. You may wonder what you can do to help them feel better. You may personally be dealing with abnormal jaw pain that doesn’t seem to make any sense to you. The first step is finding out the cause of the jaw pain, which can be done visiting your local orthodontist. -Your child may suffer from jaw pain as a result of ear infections. While this doesn’t have to do with their teeth or even their mouth, ear disease can be highly painful for little ones in the whole jaw, cheek, and ear area. -Another main cause of abnormal jaw pain may be due to a bite abnormality. Any time the mouth has to work “over-time” due to an overbite or some other problem with the way your mouth chews or bites, there will be a presence of pain due to the extra pressure and stress on your mouth. -Stress can lead to a variety of health problems and teeth-grinding is one common result of being overly stressed. Teeth grinding can lead to jaw pain, especially if it’s being done on a regular basis, such as every night. -Teeth injuries such as fractured teeth or severe dental problems can also be a reason why your jaw may be hurting. -One thing that may be happening with your child is that they have bone growth surrounding their jaw and this may be the reason why they are feeling pain. -Teeth crowding can be painful when a child needs braces and this is a common cause of jaw pain, especially in children. -Arthritis may also be another cause of jaw pain and can be serious when not paid attention to. There are a variety of treatments for the different causes and reasons for jaw pain. The reason why you as an adult may suffer jaw pain may be very different from the causes of your child’s jaw pain. Most children get jaw pain when they have an abnormal bite. Many children require braces to fix this problem and many orthodontists will be able to diagnosis the cause without a problem. They can determine whether your child needs Invisalign or some other form of treatment. Invisalign can be a good option for jaw pain treatment as it isn’t very obvious. Whether it’s for you as an adult who wants to avoid looking like an adolescent or it’s for your preteen who may be feeling a bit self-conscious, you may want to look into it. If your jaw pain is caused by stress that leads to teeth grinding, you may need to use a mouth guard or splint. This will help protect your teeth from being damaged by excessive teeth clenching. Of course, you should also take a look at your lifestyle and see how you can avoid stress as often as possible. There are different relaxation techniques that you can do to help you relax your head, neck, and jaw area. If its very serious, some orthodontists may decide on injection treatment. 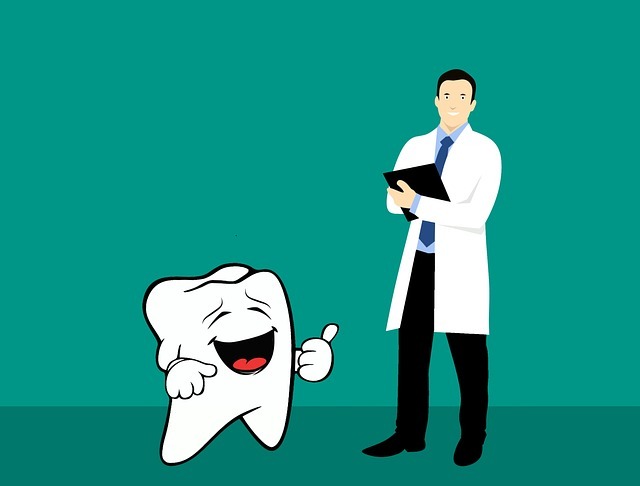 When jaw pain is caused by tooth injury or dental problems, you will most likely need some type of dental work to deal with jaw pains and treatment. Maybe even surgery to take care of the problem. Whenever jaw pain is caused by dental issues, it is a sign of something somewhat serious and should get immediate attention. For those who may have jaw pain caused by arthritis should ask their doctor for treatment. Controlling joint pain and to prevent complications that can often be associated with rheumatoid arthritis. If arthritis jaw pain is left untreated, it may lead to the need for surgery. This can be highly unpleasant, so it’s better to stop it in its tracks by getting diagnosed as soon as you have any doubts. If your little one has been complaining about jaw pain, there is no need to be alarmed. Typically, jaw pain in children is caused by the need for orthodontic treatment or simply attention to their dental needs. As an adult, you do have to take better care of the reasons behind your jaw pain. It may at times be caused by something serious. The best thing to do when facing jaw pain in your own life or watching your child deal with it is to visit your local orthodontist. Here you get a proper diagnosis and subsequently the best treatment for what you have. If you are looking for a good orthodontic clinic in Marin, CA for jaw pains And treatment you will want to get in touch with us. Dr. Gorton and Dr. Schmohl at Gorton and Shmochl Orthodontics. Here you can expect thorough and dependable orthodontic attention at fair prices. When it comes to your and your children’s oral health, there is no better place to visit. This is where professionals care about providing quality and experienced treatment. Contacting us is easy and quick. Make an appointment today.